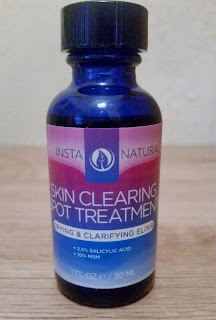 InstaNatural Skin Clearing Spot Treatment. 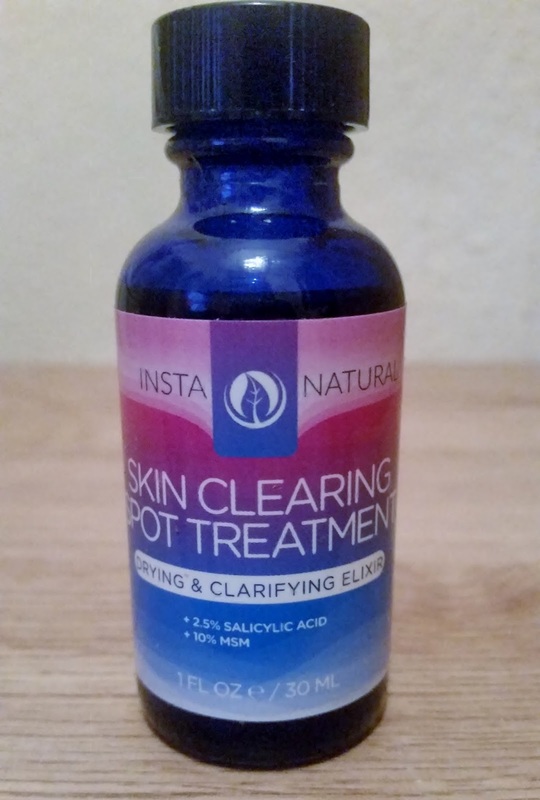 We all have suffered from acne at some point with our skin and with some just getting an occasional spot whilst others suffer with acne severely, it can be difficult to find a product that actually works. 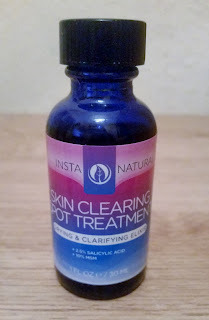 InstaNatural skin clearing spot treatment is described as a drying & clarifying elixir. 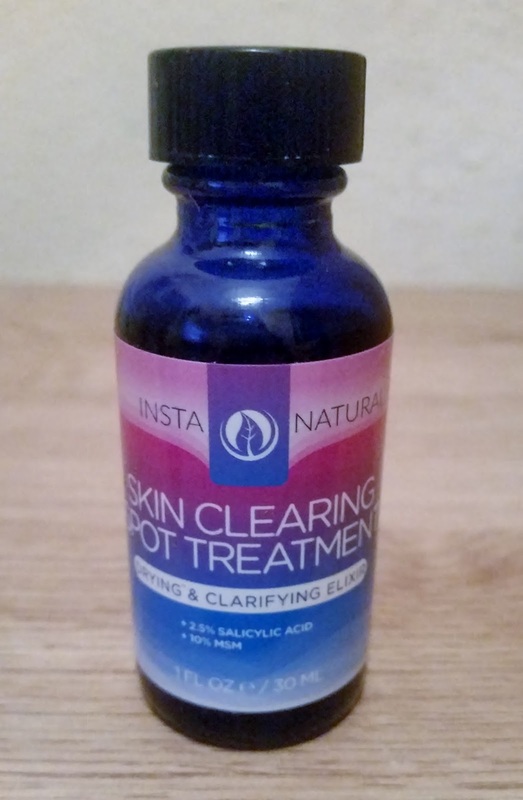 Skin clearing spot treatment is a lightweight and nourishing formula that can help men and women with troubled skin types achieve a clean and beautiful appearance. Contains a powerful blend of salicylic acid and MSM to help give the skin a clean and pure look. Do not shake product before use. Dab a cotton swab into the bottom of the elixir and then gently dab the cotton swab onto blemishes. The dark blue bottle is glass and you have to unscrew the top to access the spot treatment. The smell of this reminds me of a medicated smell with a cucumber scent mixed in. Looking at the ingredients it does state cucumber fragrance. Dip Your cotton swab lightly in and then remove, ready for you to apply to your blemish. I did try this treatment on a blemish i had and i was abit sceptical whether this would work or not? I applied this to the blemish in the morning and could feel its magic get to work. At mid day the blemish had been reduced so i applied the spot treatment again and by the evening the blemish had gone! Yes gone! I didn't feel any burning or sensation when using the spot treatment. It was pain free and stress free! I'm glad there is an acne treatment that actually reduces and helps blemishes! If you are wanting to find out more and try this great product, check the link out. X Neal.